After realising season 7 had ended some time ago, I binge-watched the rest of season 8. I have to say, it brought with it a lot of what I had hoped for in the last season. Yes, there were some strange throwaway episodes, like diving after a sea lard and finding a strange new world, or the return of James Baxter the horse (though I did like how he got his name). But most of the season was dominated by two much longer, more intriguing plotlines - the development of the elemental guardian plotline that reaches fruition in season 9, but more importantly, Susan Strong providing Finn with a link to find the rest of the humans - and his mother. This plotline leads to the final lengthy arc of this season, with its own unique introduction and a bleak portrayal of the future of humanity. Once again, we see the idea of humanity preferring life in virtual reality and getting trapped inside. But Finn's mother and the rest of the humans are part of a different society, perhaps one that works a little too well. 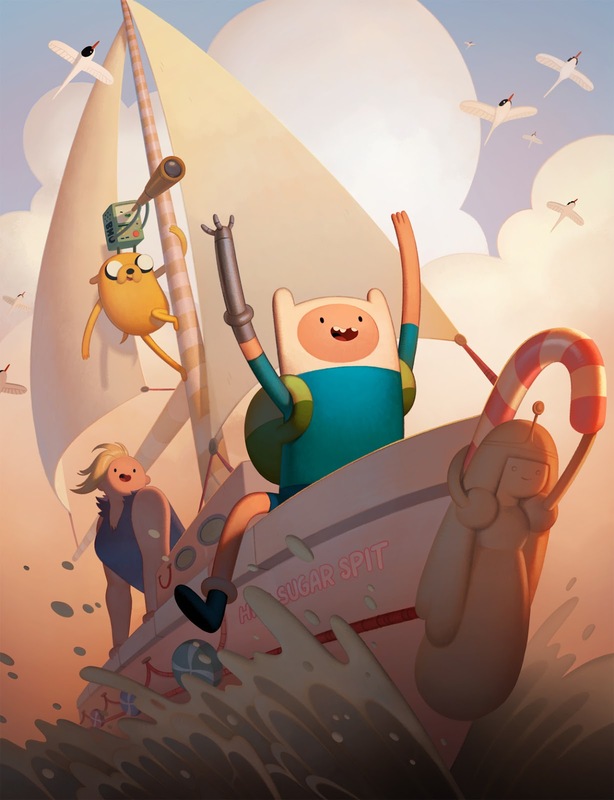 Finn gets some fine emotional moments and development, and it had already been a strong season for him as we got more exploration of the idea of alternate Finns being trapped in his swords. Finding his mother and of course ending up confronting problems she'd caused before eventually having to return home provided some great emotional highs and lows. Plus Susan became a fully-fledged character too, with her own past to confront, and had a cathartic reunion in the end. Now that both Finn's parents are well-established and he's growing up, there aren't so many loose ends left to tie. I think the next season bring Princess Bubblegum's darkness and the loose ends that remain in Simon's stories to a head, and then I feel like we might finally come to the end of this brightly-coloured, often rather dark cartoon that from its beginning has been squarely targeted at stoners and adults. I hope it draws to a natural close before too much longer. There's no point stringing it out until it gets stale, and while this season has been very satisfying indeed, I don't think there's that much more remaining in plot terms to bring out these kind of heavy hits in future.